Part 1 discusses getting started, Part 2 looks at the messages received. Many of the messages are simply “TEST” messages, this is because it is mandated the systems must be tested at regular intervals. The positive side is the number of messages being exchanged is quite high, and so it doesn’t take long to record traffic. In this example, you can see a number of test messages being sent too and from both ships and land stations. Taking the top message as an example, you can see this has come from the ship KAVAFIS with its unique MMSI number 256821000. 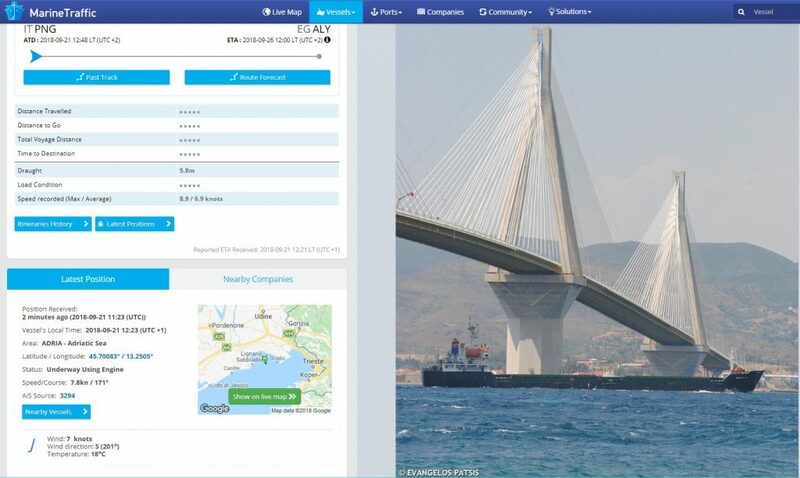 The database provided by John GM4SLV allows you to click on the name of the ship “KAVAFIS” and this allows you to see further information. You can also review the location of the ship, usually derived from Automatic Identification System AIS data. The main purpose of the system is to assist with the safety of life, and so you will receive emergency signals sent from or relayed by ships. Using the database provided by John you can query all the urgent / distress calls received in the last 24 hrs using this query. If you haven’t already seen it Part 1 deals with getting started. 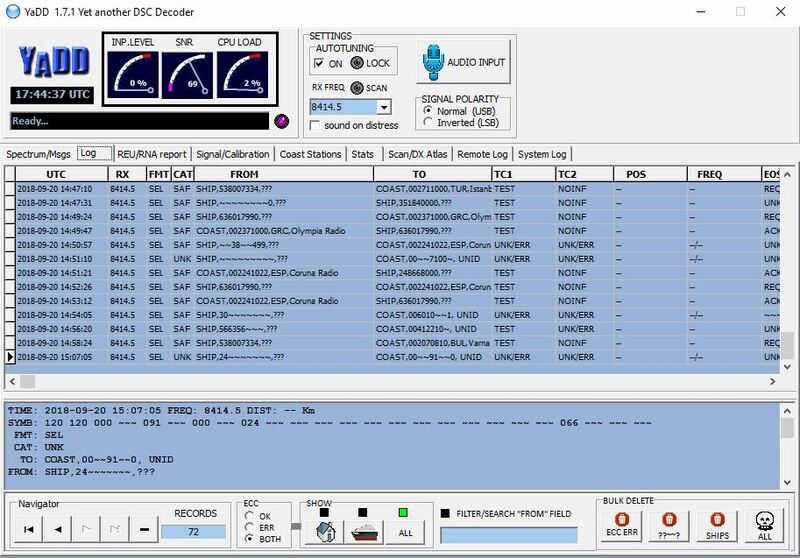 GMDSS send messages on the HF and VHF bands using Digital Selective Calling (DSC). The system utilises a number of HF and VHF frequencies to provide global coverage. Ships at sea are required to monitor 2187.5 and 8414.5 but often monitor all of the above. The usage will depend on the intended propagation. The transmission is FSK 170Hz shift and 100 baud. A good resource for digital modes/decoders can be found at the NDB data modes website. 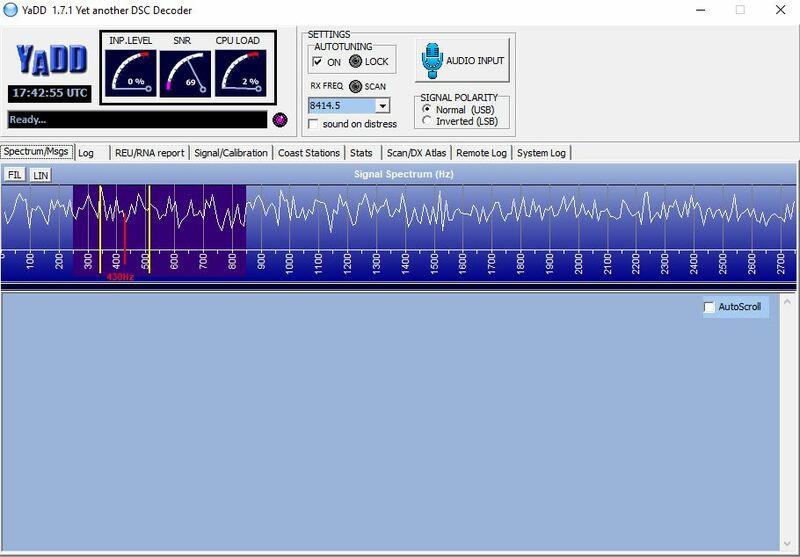 Online you will find a number of paid and free decoders, YaDD (Yet another DSC Decoder) is a great free decoder available for download. I would suggest also reading the manual for the software available on the download page. So once you have downloaded the software you going to want to decode some messages, this can be completed by feeding the audio into the DSC decoder. The YaND software is written by Dirk Claessens, and it works really well. I used a Virtual Audio Cable, software that allows me to connect my Kiwi SDR to the software. You can search for a number of free or paid versions, I used this free version from VB Audio. Load the program and select the “Audio Input TAB” Then select the audio input that YaDD needs to listen too. If you have an SDR this may be the virtual audio cable, otherwise, it may be a USB sound card. The routing of audio works in the same way as any other digital mode be it RTTY, FT8 or PSK. Select a CW filter 200Hz or more should be fine and select the frequency you have tuned the radio into from the RX Freq pull-down menu. It’s also worth ticking “Auto tuning” and then wait. If you click on the “log” tab you will see details of the messages you have received. Remember the frequency you select will depend on the band conditions, so hunt around and try some alternative frequencies. You can also elect to upload the data you decode to a central database in the “remote log” TAB. You just need to tick the “Enable remote logging” box and define an RX ID I used my callsign but you don’t need to be licensed to receive this data so choose something unique to you. You can also visit the database maintained by John GM4SLV, here you can search and review your and others data. 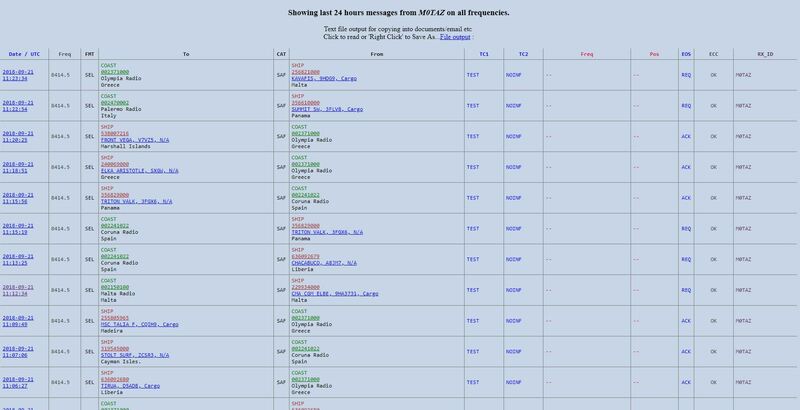 If you want a more technical overview of the structure of the messages, then John has completed an excellent article on his website.